I live in the Triangle and have seen firsthand the effects of the partial shutdown of the Columbia pipeline as I have driven by many gas stations this week where no fuel was available. An event such as this can be used to remind students where our gasoline comes from and to prompt them to consider the consequences of having to transport fuels over long distances. 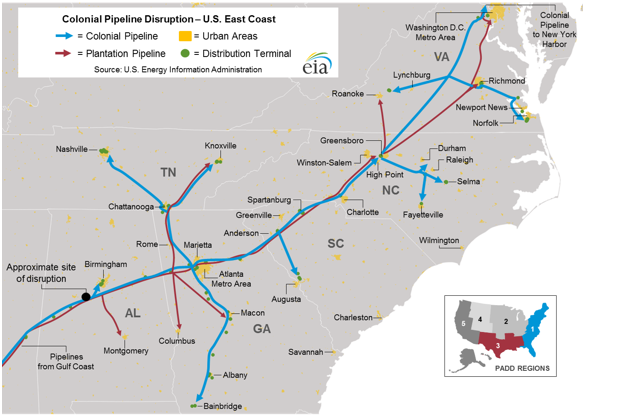 The U.S. Energy Information Administration (EIA) featured the pipeline disruption and provided the map below in its September 21st, Today in Energy feature article (which you can sign up to receive each weekday via email). According to this article “the U.S. Southeast is supplied primarily by pipeline flows from refineries along the U.S. Gulf Coast and supplemented by marine shipments from the U.S. Gulf Coast and imports.” Seeing this map helped me to understand why this pipeline disruption impacted central North Carolina to a great extent. Then I added additional map layers to also show oil wells (light brown dots) and oil/gas platforms (dark brown dots) in federal waters so students can also see the distribution of wells and platforms in relation to petroleum refineries. I would love to hear from teachers who have incorporated this current event into their instruction. 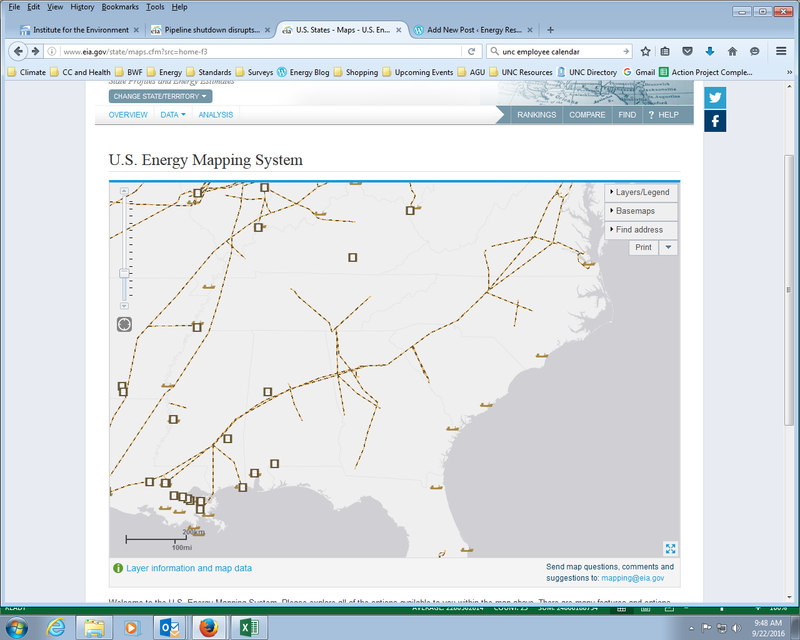 A newly released tool, Free Energy Data or FRED (Beta stage) allows users to visualize state and national energy flow using Sankey diagrams. FRED was developed by the U.S. Department of Energy’s Office of Energy Efficiency and Renewable Energy in partnership with two national laboratories and two non-profit organizations. 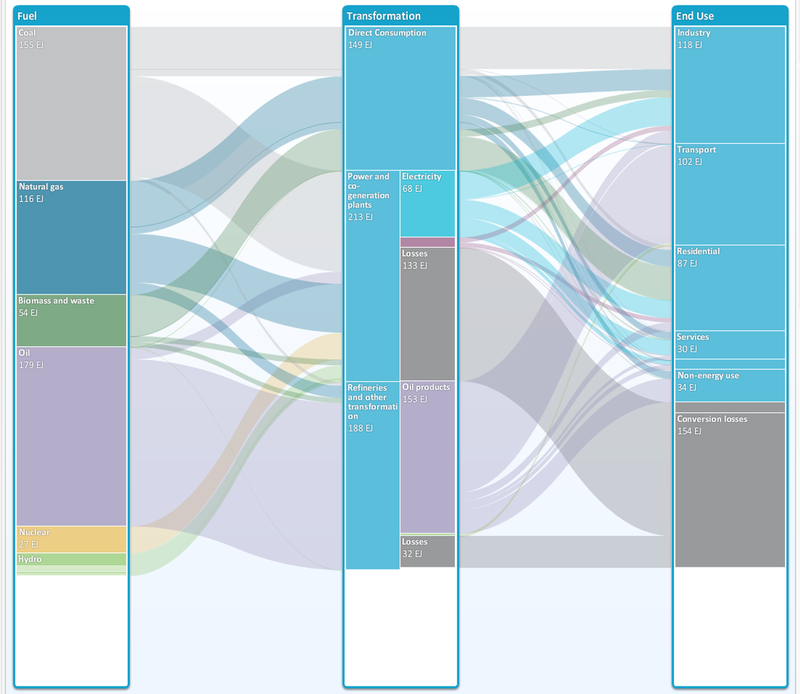 To acquire Sankey diagrams for North Carolina,click on North Carolina on the home page and then click on “energy flows” and you will gain access to Sankey diagrams showing the energy flow in NC for the year 2010 and all the way back to 1964! Users can navigate the diagrams by mousing over paths of interest. 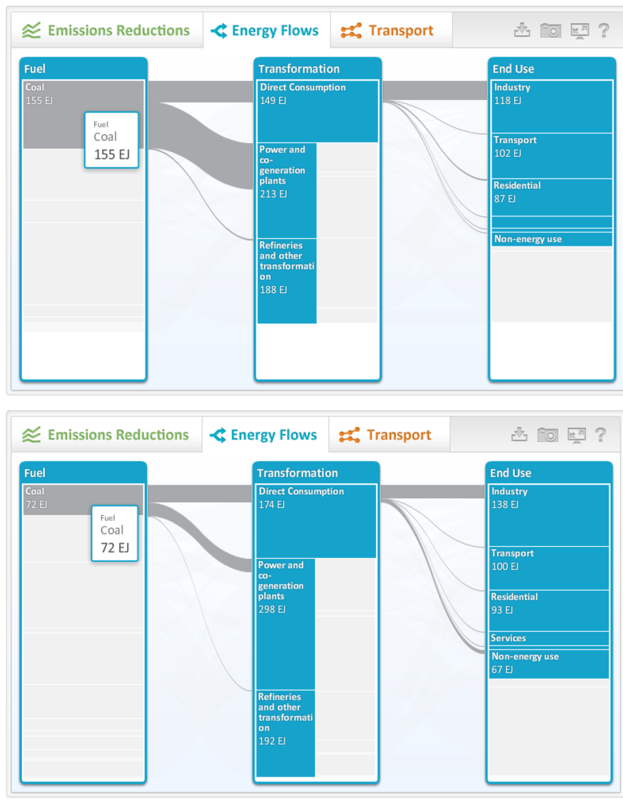 Users can also compare energy flow diagrams for two states using the 2×2 grid button at the top right of the home page. 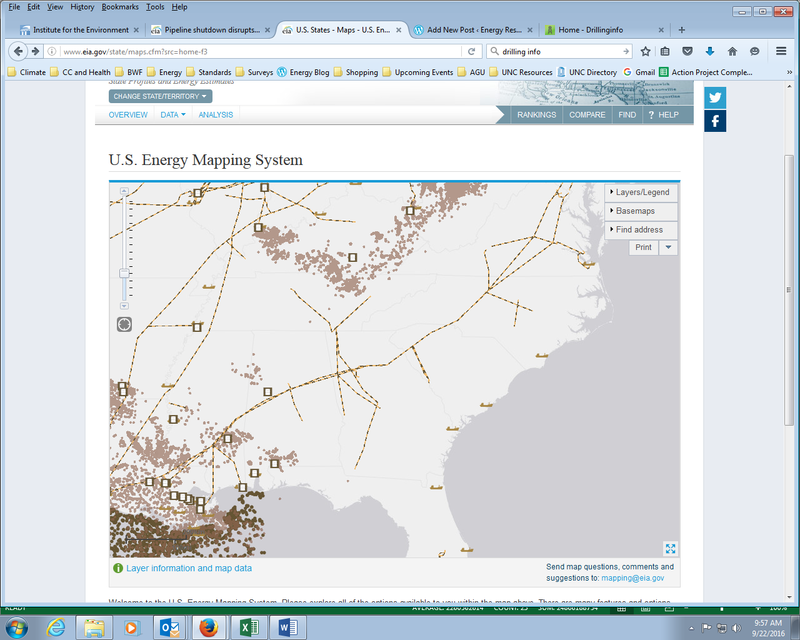 To see national level data, open the “layers” button located next to the log in button and click on the pencil which will enable you to change your query from ‘stateprov’ to ‘country.’ Then click on the US and then “energy flows to access to Sankey diagrams showing the energy flow in the US for the year 2010 and all the way back to 1960! The Dean of Duke’s Nicholas School of the Environment, Bill Chameides, recently drove a Nissan Leaf with one of the Department of Energy’s car specialists and created a 6:44 minute video about it. This electric car gets 99 miles “per gallon equivalent” and zero emissions are generated by the vehicle during use but the video does a good job of reminding the viewer that there is a power plant behind the scene generating electricity (and thus emissions) to charge the battery. Get an up close look at the two charge ports found at the front of the vehicle: a DC Fast Charge Port and a Standard Charge Port. The video highlights other features the car has that are designed to increase its efficiency, including aerodynamic design and low-rolling resistance tires.